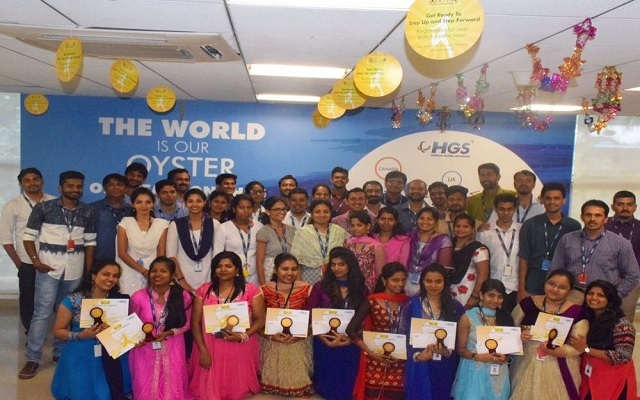 HGS-Hinduja Global Solutions Career Jobs Opening 2018-2019 Non-Voice Process Posts Download Application at www.teamhgs.com. Hinduja Global Solutions Job has Recently Announced 2018 regarding Non-Voice Process & Various Job Openings Interested and Eligible Candidates can Download Application Through Official website. Hinduja Global Solutions Walk-in Drive Non-Voice Process @ Chennai. HGS is a leader in optimizing the customer experience and helping our clients to become more competitive. HGS provides a full suite of business process management services from marketing and digital enablement services , consumer interaction services to platform enabling back office business services . By applying analytics and interaction transformation design to deliver innovation and thought leadership, HGS increases revenue, improves operating efficiency and helps to retain valuable customers. HGS expertise spans the telecommunications and media , healthcare, insurance, banking , consumer electronics and technology , retail , consumer packaged goods industries, as well as the public sector . HGS operates on a global landscape with 40,000 employees in 65 worldwide locations delivering localized solutions. HGS, part of the multi-billion dollar Hinduja Group, has over four decades of experience working with some of the world's most recognized brands. Graduation (arts & science) is mandatory. Candidates near by Ambattur would be preferred (10KMs radius from office). Free Transportation ( pick up & drop facility). Freshers can apply (2016/2017 passed out). Working days (Monday to Friday). Arts and science graduates can apply. Candidates near by Ambattur would be preferred.